Spring is near and I decided it was time to update my “things to do this season” list. You can also call this a Spring Bucket List! So, here you go: 26 Things To Do in Spring! You can Pin this fun graphic to your Pinterest boards if you’d like. I’ll also share it on Facebook so you can “save” it to your “save list” there as well as a digital reminder of ideas in case you need them on the go! I’ll list all 26 things to do underneath the image you see below. Pin or save this image! Go for a drive or motorcycle ride on a sunny day! Make or buy new bird feeders for the yard. 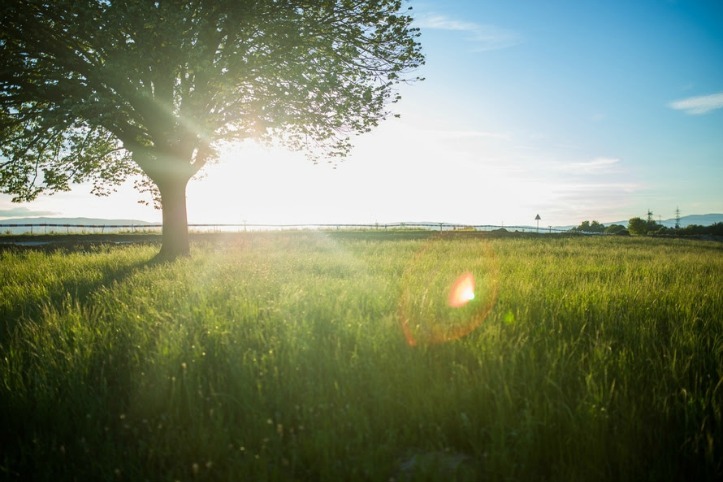 Take a leaf/tree guide and see how many trees you can identify. Spring clean the house and car. Go to a park and play frisbee or ball. Create nature paintings and crafts outside. Chalk up the driveway or walkway. Hang out new wind chimes. 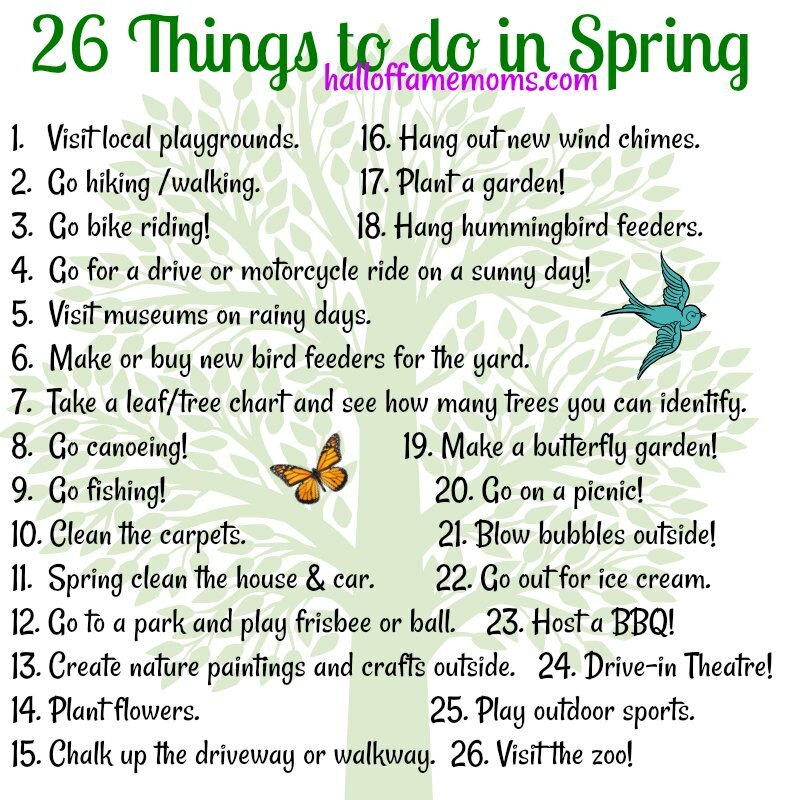 What would you add to this list of things to do in spring? Tell me in the comments below! See my 30 things to do in Winter and 30 things to do in Fall, too! Find Homeschool Classes offered at Ohio zoos and museums. This is a great list. Sometimes we all need a starting point after a long winter!! Thanks Cindy – I’m so ready for spring weather!